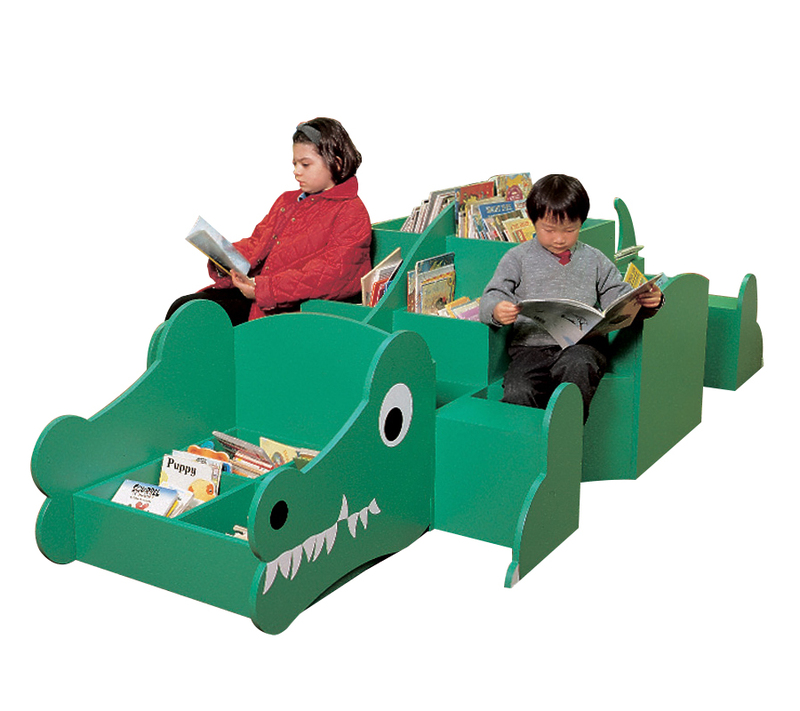 The Crocodile Book Browser is an imaginative seating unit which encourages children to sit and read. Plenty of space for children to sit and a number of storage spaces for picture books. Constructed from 18/19mm high quality melamine-faced particleboard with PVC edges all round. Ideal for a library area in a nursery or primary school. See our full range of book browsers. For more information please Contact Us or call on 01733 511121.